Yeah they looks so stunning and precious like yesterday coins as well! Like you said it's a good market time to collect more coins! Coz we all know there is a huge BULL trend is awaiting to see in the end of this year and 2019 as well! I was looking at two dragon round-coin - one is 2 oz. 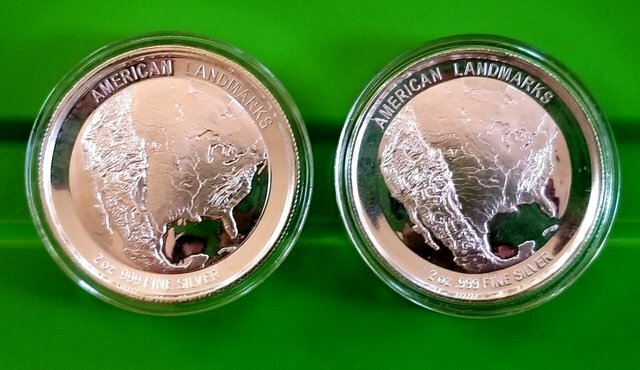 ($42) and the other is 1/2 oz ($15). I am looking for the price movement before end of 2018 to be measurable. The word is JP Morgan closed their shorts and are now long. How much does each cost/weigh? 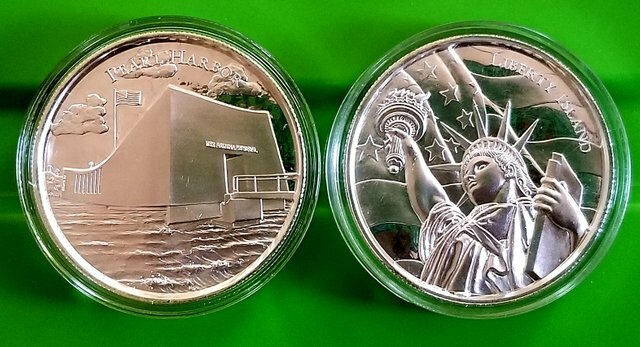 @djohan, You've nice collection of Silver rounds American Landmarks. There are so many unique fashionable designs indeed. Nice animation creations. I'll try to stop by to check these babies out. I'll be super busy this week. Hope everything is getting better up ahead! The Pearl Harbour coin has a very strange design! I would expect a war ship on it! But this looks like a building?! It’s the best time to buy silver coins! Wow amazing silver coin. this is valuable and its really look. They have a very attractive relief. But for many these coins have a sentimental value and I do not blame them! You're right, that's what I meant! Nice silver coins . So you are shopping silver coins now or these are old coins ?